Holy Trinity Church, the town church. Not the best weather for taking photos, cold, wet and windy. I did get a fair amount of curious looks getting this shot as I stood on the middle of the road, tripod et al, to grab this shot. This is a really pretty church, especially when lit up at night. 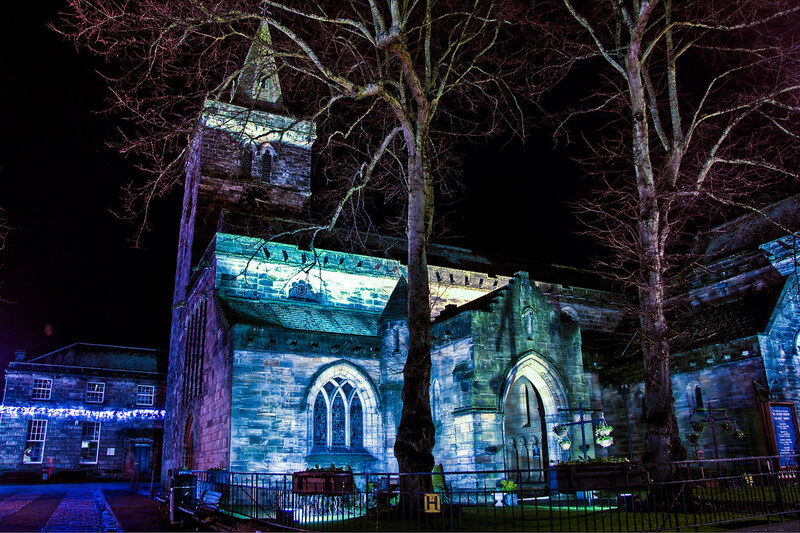 This entry was posted in Scotland, St Andrews and tagged Church, dark, fife, hdr, Medieval, night, Scotland, scottish, skreid, St Andrews, street, tower, town. Bookmark the permalink.